50% polyster, 25% cotton, 25% rayon. 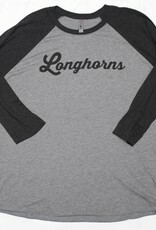 Black and grey soft 3/4" length baseball tee, "Longhorns" is across the front in black cursive. 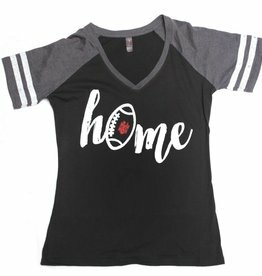 This is a unisex spirit shirt. 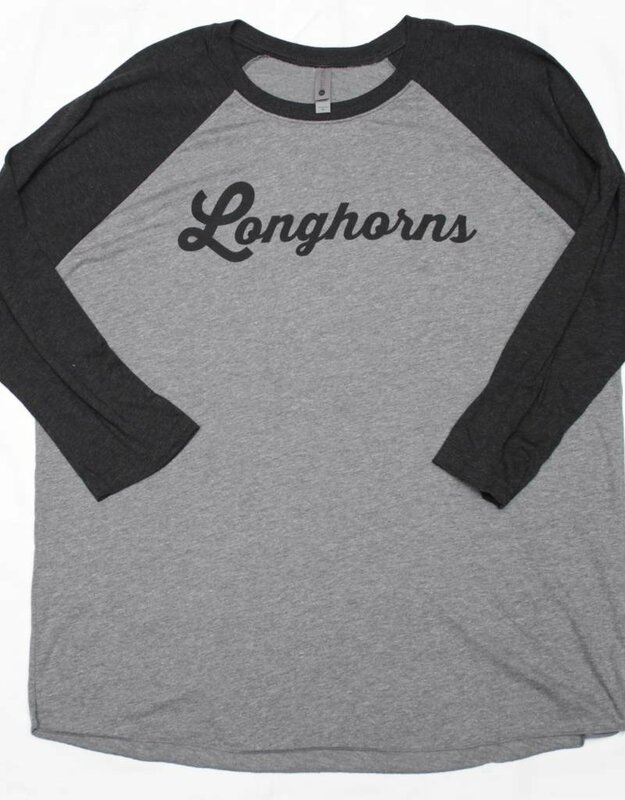 Soft red short sleeve spirit tee that features "Longhorns" in white glitter lettering on the front. Each sleeve has white and grey stripes on the arm. 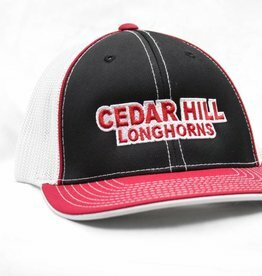 Red, black, and white hat that features "Cedar Hill Longhorns" stitched in red and white on the front. The back is a white mesh. Comes in Youth, SM-MD, and L-XL sizing. 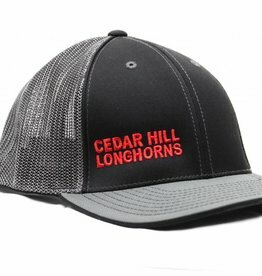 Black and Grey hat that features "Cedar Hill Longhorns" stitched on the front off to one side. The back is a grey mesh. 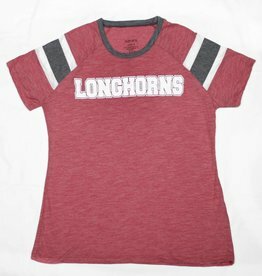 Comes in Youth, SM-MD, and L-XL sizing.